Size 8 - $79.99 Only 1 left! 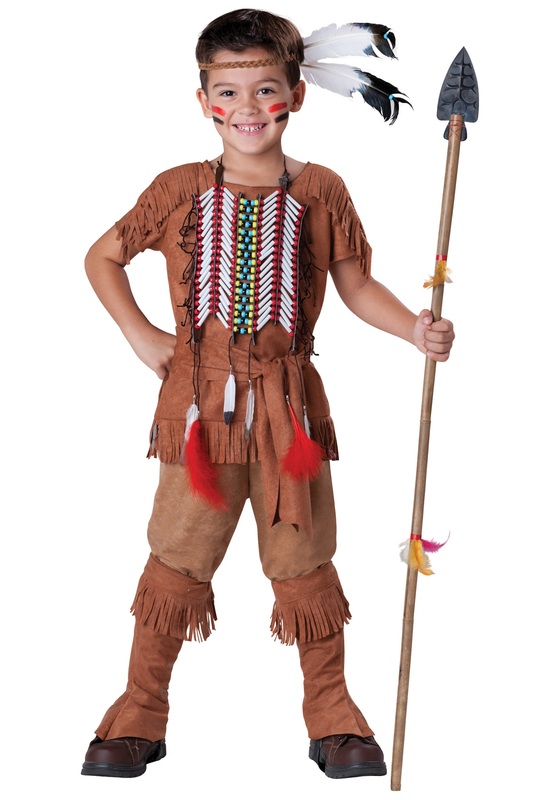 This is a Native American-inspired 100% polyester costume that is perfect for a school play. Not only is it affordable, but it’s got great details that you won’t find on any similar costume. The fringe trim decorates the bottom and shoulders of the tunic. The matching pants have an elastic waist for a comfortable fit, and they also have elastic at the ankles. A pair of boot covers is also included and fit with elastic bands around the cuff and also underfoot for a secure fit. Add interest to the look with the included beaded chest plate. The chest plate has a Velcro closure in the back of the neck. A headpiece is also included and it has elastic backing with a Velcro closure and beaded accents along the back of the headdress.